Increasingly, redundancies and terminations of employment contracts are areas where advice is being sought by our clients. Julie Mullan has been advising on a large number of severance packages recently. Sometimes overlooked, non compete and non solicitation clauses are an important aspect of termination agreements with consequences for both employers and employees. 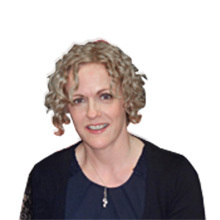 Julie can advise on best practice in all aspects of termination. Employers, are you compliant with all aspects of Irish law? Do your employees have up to date contracts of employment? Do any non-national employees have the required work permits/ permission to work? If you are not sure, we can audit your business and guide you on compliance and best practise. It might be better to contact us before the National Employment Rights Authority contacts you! Questions about employment law? Contact us today to for advice and representation on employment rights. Any of our solicitors will be delighted to speak with you without obligation.